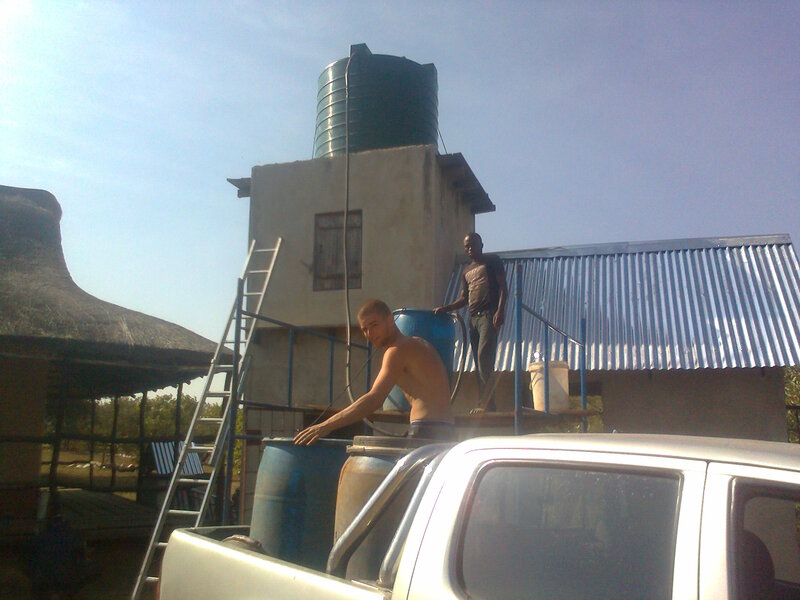 Teen Ranch Zambia is just off the Nampundwe road, 35km west of Lusaka. We were drawn to Zambia to follow up contact with a prisoner on death row - Nelson. While there our hearts were touched by the need for a holiday camp for the children of Zambia. Promoted by the quote of a Zambian pastor "The children of Zambia are the neglected people of Zambia". Amazingly we were gifted land by the chief of the Shamilimo village and so work began; opposite are some photos of our first attempt at building a road, we must improve on that. Bit by bit, we've cleared land, put up a front gate, started the first buildings, including a care takers accommodation, two toilets, two showers, a septic tank, cleared a football field and volleyball pitch, giant chess set and outdoors table tennis. 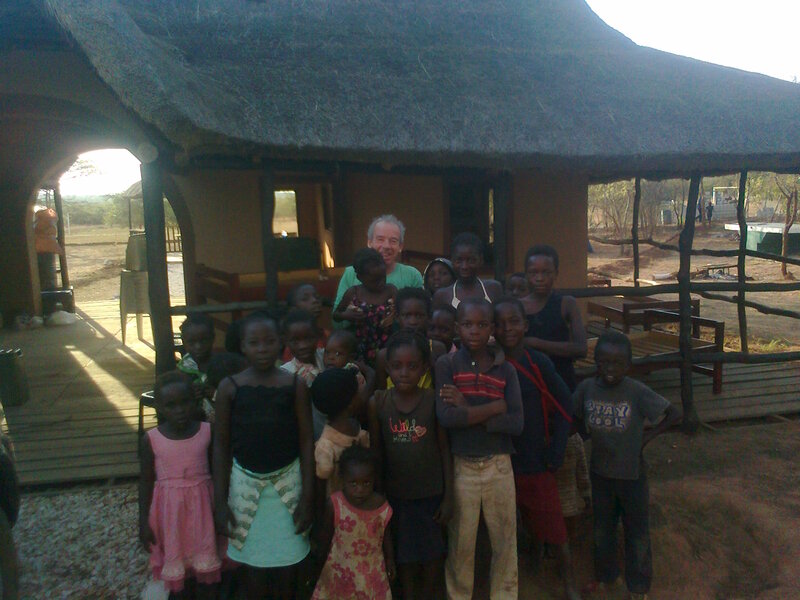 Teen Ranch Zambia has had it's first two camps; they can now accommodate 16 campers. The buildings are far progressed from the photos you see here; there are more photos below. Thatching going on the roof. Water tank tower is up!